Many of us will stay at the hotel aboard the ship. Please plan to attend & meet our friendly group. News team welcomes Irene Myburgh, ZS6IEA . Irene will be the voice behind the Sunday Afrikaans bulletin. By the time you read this you might well be on your way to Canada to celebrate CLARA's 50th Birthday - . Happy Birthday CLARA you are wished many more years on-air. Please share your thoughts with the rest of us and take pictures (remember to tag pics). If you are not at the Hamfes at Friedrichshafen and staying at home, we can travel the air-waves, especially for the Islands on the air event. Or we can follow Mami (JP3AYQ) who loves dxpeditions. Hope the Norwegian Special Event below will remind you of SYLARA's (Scandanavian Young Ladies Amateur Radio Assoc.) meeting in Sweden. Buon Giorno! I am Mami, JP3AYQ/V73YL. I like IOTA chasing and also IOTA activations from islands. In September 2015, I operated from Majuro Island (OC-029) of Marshall Islands V7. That time, it was a combined trip with scuba diving activities as another hobby of me. 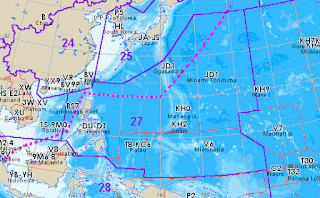 Majuro is close to Japan, but transportation is not so good to get to Majuro Island. It takes 2 days from JA to get there via Guam Island (KH2). So it was a faraway island. After a long flight, I arrived at the Majuro Atoll surrounded by the blue sea. Since propagation was still good in the peak of cycle 24, I was able to make QSOs with a lot of people and my hand made antennas were doing a good job. There is no rental shack in Majuro, so we brought all the rigs, PA and antennas, so the team’s total baggage weight was over 120 kg. The manager of the hotel was a very nice person. He said to us, “you may place antennas wherever you want and ask us anytime if you need help”. It was a very pleasant trip. I also dived into the sea. I saw the beautiful blue and wonderful transparent sea. Although it is a bit far destination, the sea is beautiful, people are very warm and kind, and radio operation is also possible at the resort hotel. I would like to visit there Majuro again. June 26: ship delayed leaving for Mokil island scheduled to arrive June 29th. June 28: ship delayed again, loading-unloading problem at the small Pohpei port. June 29: ship delayed again, arrive at Mokil island July 2nd, if ship sailes July 1st. V6J started the operation on 20m CW around 03GMT on July 1st and made 1200 QSOs as of 03GMT July 3rd. 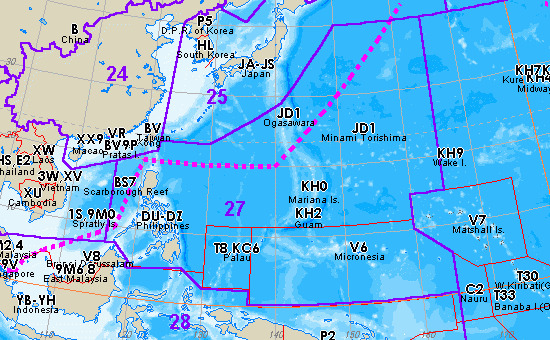 70% of the QSO are with Japan. V6J will continue the operation until 20 GMT July 6th. The members are supposed to leave for Phonpei July 7th. We are going to use two generators for electric power. V6J stops operation around 14 GMT every day due to the fuel shortage problem. The V6J members purchased 200 litter of gasoline at Phonpei and it is stored at the of the Mokil city warehouse. This is severely controlled by municipal staff and locked. The warehouse is completely closed before sunset. V6J members go to the warehouse to get the gasoline (small 18 lt bottle) just before sunset. However, it gives them only six hours operation at night. As a result, six hours later, they encounter the out of gas problem. Although the members are trying to cope with this problem, I suggested to Mami that she not work many JAs in the evening in order to save the gas. 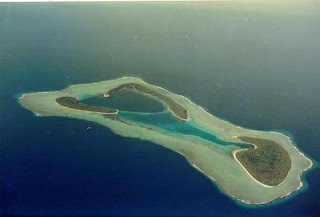 Mokil Atoll lies roughly 95 NM (153 km) east of Pohnpei Island and 84 NM (113 km) northwest of Pingelap Atoll. Editor: Although originally selected because of YL participation before cancellation, I thought that Sazan island sounded interesting enough to be shared and perhaps someone will activate the lighthouse during August for ILLW (International Lighthouse Weekend)? In 2010, the island's surrounding sea waters, and those of adjacent Karaburun Peninsula were proclaimed a National Marine Park by the Albanian government. Located at the informal junction line of the Adriatic and Ionian Sea, The island has a length of 4.8 km (3.0 mi) and a width of 2.7 km (1.7 mi), the island was once a fortified, isolated military base and has never had any civilian population. Started in 1964, this annual contest has run for more than 50 years and takes place over the last weekend of July. to encourage expeditions to IOTA islands and the greater use of the amateur bands. Many of the islands counting for IOTA also qualify as islands for the DXCC program . The essence of the contest is to work as many island stations as possible. Although you can work any station, island or non-island, contacts with islands score more points, and only new islands count as multipliers. How do you know if a station is on an island? Because after sending the serial number, island stations also send an island reference, but non-island stations don't send any reference.